We are proud to announce that The Cannery Neighborhood Association has selected Tinnelly Law Group as their associations’ legal counsel. 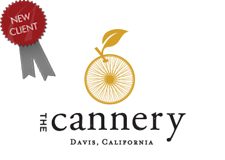 The Cannery, by The New Home Company, is a brand new master planned community located in Davis. Winner of the 2016 Master-Planned Community of the Year Award, The Cannery is California’s first farm-to-table new home community. Residents will enjoy 4.7 acres of parks, trails, sports courts, amphitheater, and a 7.4-acre working farm. Our HOA attorneys and staff look forward to working with The Cannery’s Board and management.